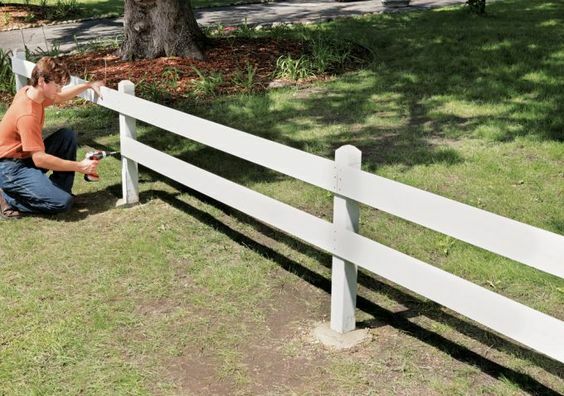 Putting up a fence in your backyard can be a great way to keep your pets and your children a whole lot safer. You don’t have to worry about them wandering off, out of the yard. You also don’t have to worry (as much) about someone coming into the yard that you don’t want there. But if you don’t have a whole lot of money you may find yourself looking for cheap fence ideas. The best thing that you can do is make sure you look at the options that are out there and think about how much money you actually have available. You want to make sure that you have enough to fence in the entire area that you want. You also want to be sure you can afford at least a decent type of fencing. After all, cheap fence ideas don’t have to be low quality. They should still do exactly what you want them to do for your yard. When it comes to choosing just the right fence you should also look at the styles available. There are definitely going to be plenty of them and you can choose what’s a good price range and what might be a little bit too high for you. 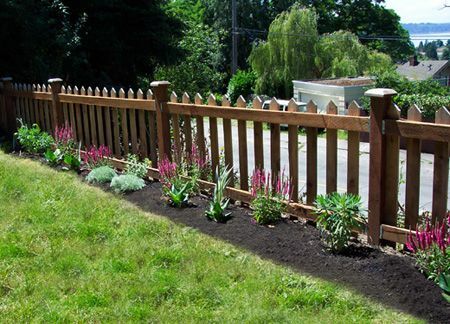 You also get to choose from a variety of different materials when you pick out a fence as well. All the different aspects of that fence are going to make it more or less expensive, so remember that when you’re making choices. When it comes to cost you could be in luck. That’s because there are plenty of cheap fence ideas. There are also some more expensive ones, however, so you want to make sure that you look at all the options. 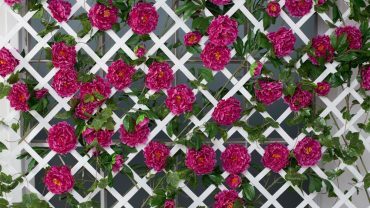 Think about the cheap fence ideas you can pick out and then look at what you get for spending a bit more money. Is it worth it to save up a little bit more in order to get something that’s going to work better for you? Some people think it is and some don’t. If you’re looking at a really inexpensive fence you can get pieces for about $3 per linear foot. If you’re looking more expensive you could be up around $13 per linear foot. Either way, you need think about what you’re really getting for your money. No matter how cheap you think you want to be you’ll probably want to stick closer to the middle of these price ranges rather than going all the way to the bottom. 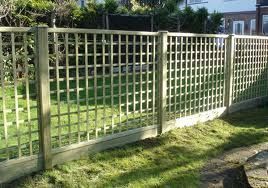 Just how can we help with your fencing plans? Well the best thing that we can do is help you see your options. 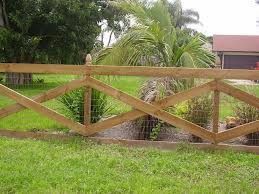 There are plenty of cheap fence ideas here and you can mix and match whatever you want to get something even more special and unique if you’re interested. It’s all about figuring out what you’re really looking for and working your way around from there. 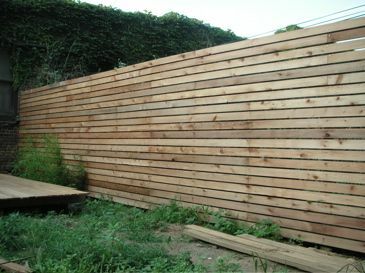 This fence is going to be super simple to install, though you will need longer boards. It’s simple and still provides you with plenty of privacy and inexpensive materials since it’s only wood beams. 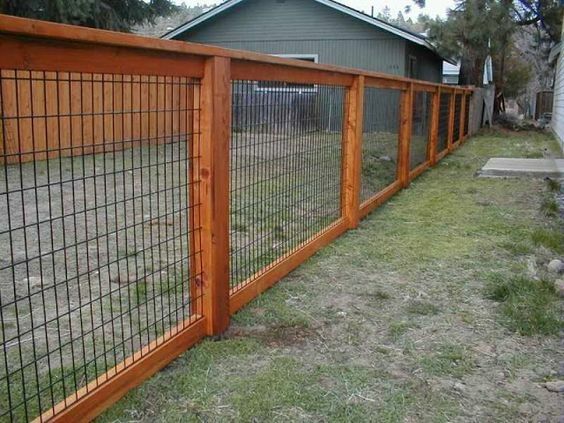 This fence is super easy because it’s a wood frame that’s covered over with some wire. You can buy this wire just about anywhere and then just use a staple gun to attach it to your frame and you’re done. 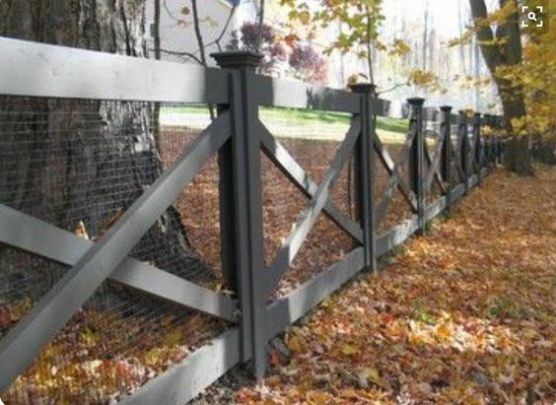 This fence isn’t that expensive but it’s also nice looking too. 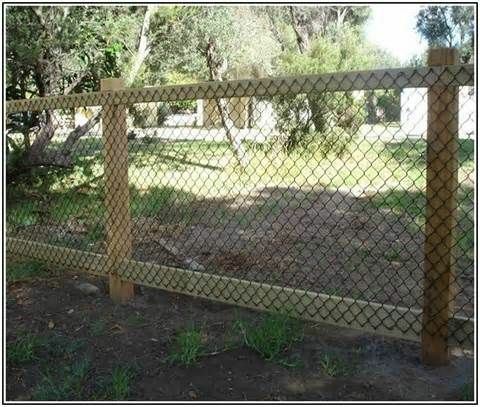 It has the wood frame with cross beams to improve security and durability with wire stretched over to keep out animals. The stained wood on this fence looks more stylish but it doesn’t cost much different. It also has wire woven through it instead of attached on the back that’s wider. This is similar to one we’ve already seen but entirely unpainted. It just goes to show your fence can look great whether it’s colorful or not. This fence uses the wood border and then fills it in with sheet metal. That’s definitely going to keep you safer and it’s going to be a whole lot more durable than wood or wires. This is a short fence but it can help your kids at least get the idea not to go out of the yard. 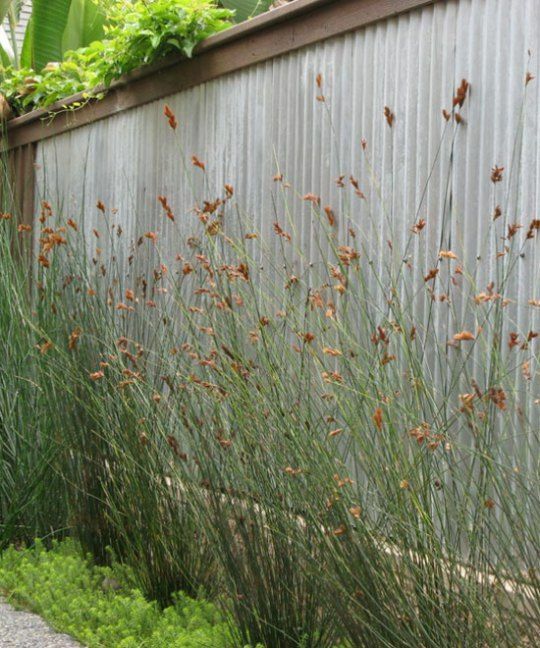 It also looks nice and helps to create a cute dividing line instead of a privacy fence. 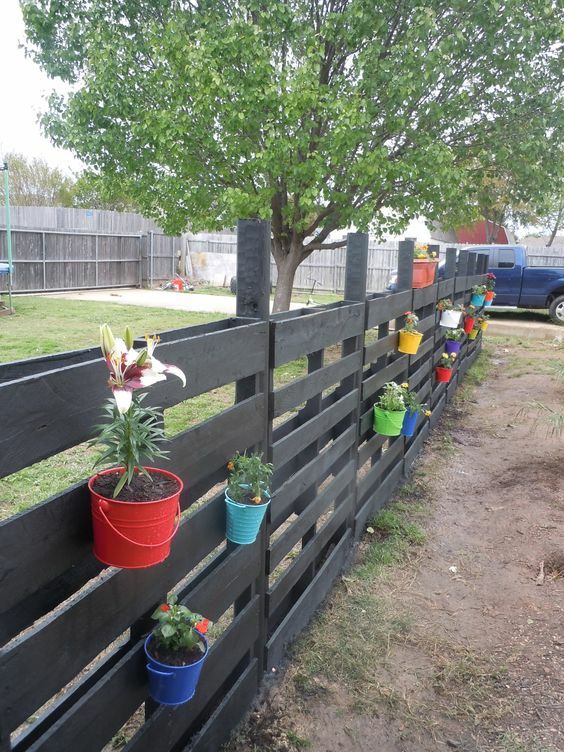 This fence is inexpensive because it’s made entirely with pallets. You just pound the stake into the ground and then put the pallets over the top of it and you’re ready to go with a privacy fence. This piece of fencing actually goes on top of a fence. 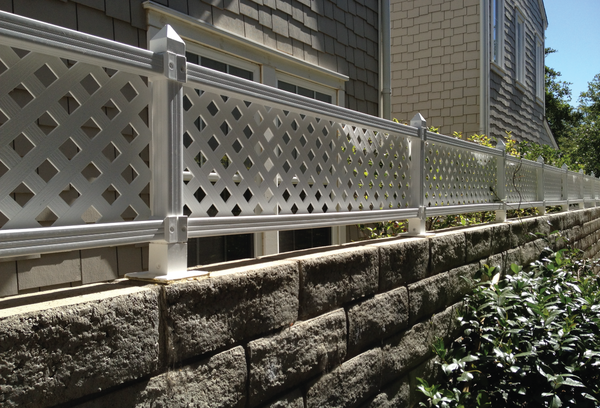 It’s considered a lattice accent and it helps add some style and a little bit more height to any regular fence, which can be great if you’re not quite happy with where you are. 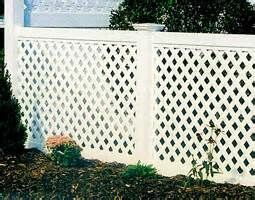 This fence has a lattice style pattern but in wood so it’s different from the plastic and composite you likely usually see. It’s also nice looking though it’s not going to be a privacy fence. 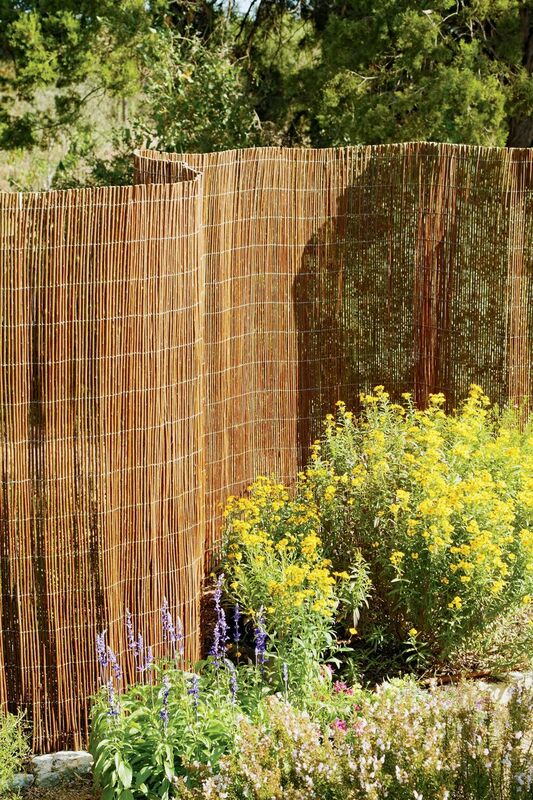 The wicker fence is very inexpensive and very simple to put up because all you need to do is unravel it. You buy the fence in rolls and then you can easily install it with just a few stakes and some wire. 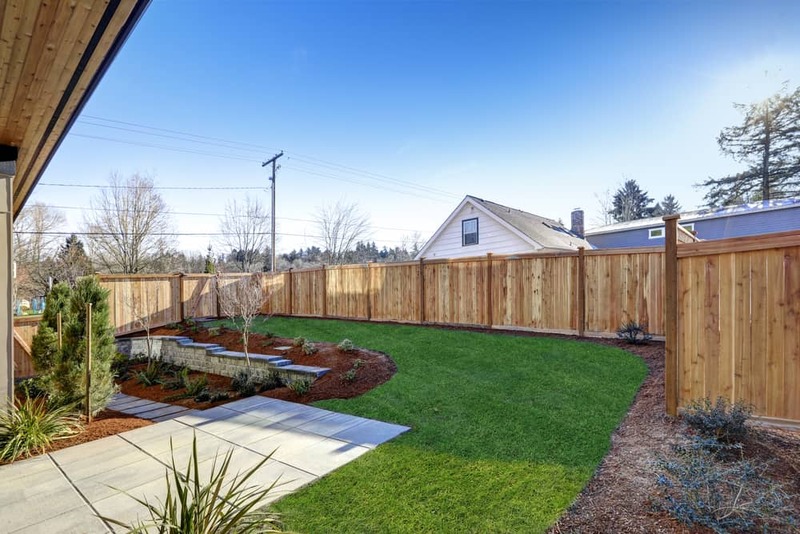 This large fence is made with composite material that is impervious to the weather. It’s able to stand up to anything and even though it doesn’t give much privacy it’s tall enough to keep out (or in) anything you want. This fence is your traditional picket fence. It looks nice and it keeps animals out and your children in with no problems.